Even when taking very large does of some medications, asthma symptoms can vary in the degree of seriousness from mild cases of just being out of breath to wheezing each day. Once you have been exposed to an asthma trigger, the symptoms usually develop slowly over a number of hours or even days. Occasionally though, the air passages have serious obstructions by the time the person seeks medical help. Asthma has some very common and classic symptoms that occur during an attack. 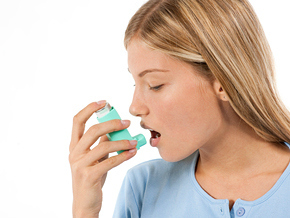 Wheezing is usually always an ever present factor whenever there is an asthma attack. It’s not so much the breathing in, but the breathing out that is the problem. The attack usually involves the wheezing and very rapid breathing and the more severe the attack is the easier it is to see how hard the muscles in the chest are working. Of course the shortness of breath is the biggest distress factor for asthma patients. This factor alone does not indicate just how severe the attack is or to what degree the lungs are damaged or impaired. Some asthma sufferers might not even notice that they are short of breath and could be at real risk of an extremely serious attack because of this. Some who might not be aware are older, or female, or someone who may have had asthma for a while. A cough that is non-productive is usually the first of the symptoms to indicate asthma. To some this is the worst symptom of all. Chest pain can be a symptom for a vast majority of sufferers. The pain is usually tightness in the chest. Care should be taken because if there are no other asthma symptoms then this could mean an indication of a heart attack. The intensity of the pain may not be a direct relationship to how severe the attack is. Sometimes the neck muscles become tight and trying to talk is laboured. There may be a rapid heart beat and there could be some degree of sweating. Usually a signal that the attack is ending can be a cough which produces thick mucus. Sometimes inflammation occurs for about a week or more at the end of the attack and no more symptoms are present. Treatment must be obtained because the inflammation could cause a reoccurrence of an attack. There has been a marked increase in the number of diagnosed cases of adult asthma over the past ten years and a cause is not really known. Asthma is a very complex disease and can be very different from group to group and even person to person. Many who suffer also have allergies and research is being done to look at different factors in both asthma and in allergens. This is because not everyone who has an allergy has asthma and not every case of asthma is caused by allergies. The theory is that asthma is probably caused by a combination of may factors both environmental and biological such as infections, eating, hormones and of course allergies. Nearly half of the adults who are diagnosed with asthma have some allergies which may have started in their early childhood. Sometimes the allergy is not a significant factor of the disease if the asthma developed during adulthood. Millions of adults are treated in hospitals each year with asthma. The number of recorded deaths has more then doubled in the years between 1908 and 1996. The good news is that the numbers seem to be coming down slightly. Death from asthma is not very common even among the elderly and is preventable. With the proper treatment, a death is very rare. The use of proper medications reduces the likelihood of this risk but they are still not being used to their fullest.